With the fast development of today’s networking field, many people tend to build 10G network in small and midsize business for their growing network needs. Then, why they choose 10G network? How to build an affordable one? If you want to build such a network, what things you should know? Don’t worry. Let’s find all the answers in the following text. Actually, the necessity of 10G network is quite simple to understand. As time goes on, there will be more traffic and applications running on your existing networks and they will keep growing. At that time, the common used Gigabit network will no longer satisfy the urgent needs for higher networking speeds and larger network construction. How to Build An Affordable 10G Network? 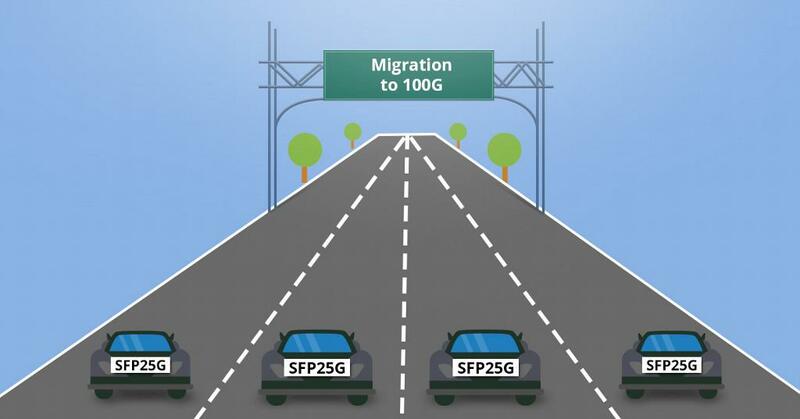 To build a 10G network, there are several indispensable components you need, such as 10GbE switch (10G core switch and access switch with 10G uplinks), 10G SFP+ modules, fiber cables, severs and storage devices, etc. To build an affordable 10G network for small and midsize business (SMB), let’s take fiber cabling solution as an example. 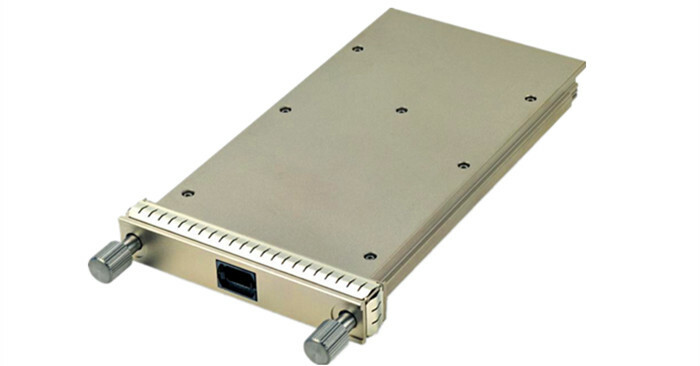 For connection between server (or storage) and a core switch, you can insert a 10G transceiver module connecting with one end of a LC cable into the server or storage, and then connect the other end of the LC cable with the core switch. 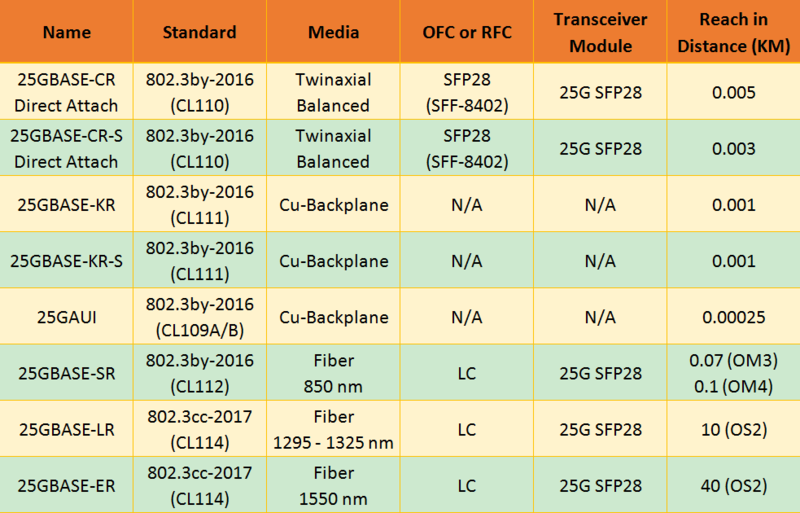 Here, the transceiver we use is 10G SFP+ module provided by FS.COM. It can reach a maximum cable distance of 300m over OM3 multimode fiber (MMF). The LC cable we use is LC UPC to LC UPC duplex OM3 MMF, which has less attenuation when bent or twisted compared with traditional optical fiber cables and will make the installation and maintenance of the fiber optic cables more efficient. What’s more, the core switch we use is FS S5850-48S2Q4C. This network switch is a 48-port 10Gb SFP+ L2/L3 carrier grade switch with 6 hybrid 40G/100G uplink ports. It is a high performance top of rack (ToR) or leaf switch to meet the next generation metro, data center and enterprise network requirements. Next, you need to connect the core switch with an access switch. Just like step 1, insert a 10G transceiver module connecting with one end of a LC cable into the core switch, and then connect the other end of the LC cable with the access switch. Here, we use FS Gigabit Ethernet switch with 10G SFP+ uplink as the access switch. This is a fanless switch, which is suitable for quilt requirement in SMB network. In addition, it has 24 10/100/1000BASE-T ports and 4 10Gb SFP+ ports for uplinks. And the LC cable and 10G transceiver we use are the same as the products used in step 1. After the previous two steps, you can use Cat5 or Cat5e cable (here we use Cat5e) to connect your access switch with computers or other devices you need to use. Just remember that you have to connect the 10/100/1000BASE-T ports rather than the 10Gb SFP+ ports. Supports 8 Gbit/s Fibre Channel, 10 Gigabit Ethernet and Optical Transport Network standard OTU2. From all the above, you may get clearer about how to build affordable 10G network for small and midsize business with 10GbE switch, fiber cables, Ethernet cables, etc. As long as you use the right way, you can not only build an affordable 10G network but also a powerful network for future network reconstruction. How to Build a 10G Home Fiber Network? How to Build 10GbE Network for Small and Mid-Sized Business? This entry was posted in Cabling Solutions, Data Center Switch, Fiber Optic Transceivers, Optical Solutions, SFP+ Transceiver, Uncategorized and tagged 10G cabling, 10G network, 10G transceivers, 10GbE switch on January 7, 2019 by Fracy.Yin. Nowadays, many new small-and-medium-sized internet companies choose to use a bare metal switch with a third party network operating system (NOS) for network construction. The NOS they choose is consistent with the Open Network Install Environment (ONIE), a network OS installer which supports loading a network OS of choice, and then changing to a different network OS later. Among all the network operating systems, Cumulus Linux is a very popular choice. Then, what is Cumulus Linux? What are the advantages of this NOS? Is it reliable to use? Let’s find out the answers together in the following text. Cumulus Linux is a powerful open network operating system designed for data center network infrastructures. It accelerates networking functions on a network switch, acting as a platform for modern data center networking tools to get networks managed like servers. This Debian-based network operating system (NOS) can be run on hardware produced by a broad partner ecosystem. That is to say, you can accelerate networking constructs on a broad range of industry-standard switches from different vendors with various port densities, form factors and capabilities. In addition to the functions such as BGP and OSFP that a normal NOS enables, the Cumulus Linux has three main features that many other operating systems don’t support, namely Automation, EVPN and MLAG. Automation: The biggest advantage of this feature is that it saves manpower by using automation tools. What’s more, it helps deployment and benefits from troubleshooting as well. EVPN: The full name of “EVPN” is Ethernet virtual private networks. This modern interoperable technology can not only help you get rid of the complexity of the layer 2 but also allows legacy layer 2 applications to operate over next-generation layer 3 networks. MLAG: It is an abbreviation for multi-chassis link aggregation group. As a new multi-device link aggregation technology for data center switch, MLAG configuration centralizes constituent ports on separate chassis, mainly serves as reliable load functionality to increase bandwidth and provide redundancy in emergent breakdown of one of the device. Last but not least, in addition to the three main features, NCLU is another feature developed by Cumulus Networks to help those who have no idea how to use the Cumulus Linux OS. This is a function similar to the traditional CLI (Command Line Interface). It acts as a prompt command during configuration. Therefore, you don’t have to worry about the unfamiliarity to such a NOS you haven’t used before! Will the fault processing time be longer using the combination of a bare metal switch and an open network operating system Cumulus Linux? Actually, compared with the traditional network switch, the processing speed form this combination is basically the same as that of an Arista switch. It has very low latency as well. In addition, the third-party systems such as Cumulus Linux based on Linux development have been very mature in today’s networking market just like the current operating systems (Windows, Linux, Redhat, Ubuntu, etc.) does. 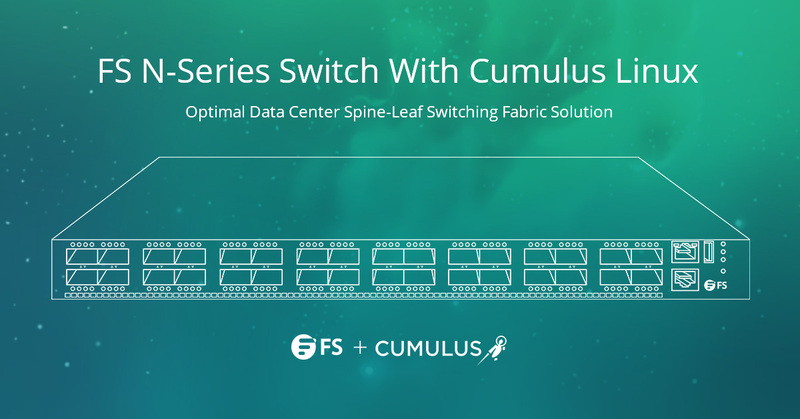 For example, FS N-serious switches are highly compatible with Cumulus Linux, and they both support EVPN and MLAG deployment. Is Cumulus Linux Secure for My Data? Of course it is secure. This NOS only process at the Control Plane. Your data is processed on hardware with chip and CPU. This is commonly known as isolation of the data layer and control layer. From all the above, you may have a general understanding of the open network operating system Cumulus Linux. It is ideal to match with a bare metal switch in data center deployment. With this open NOS, you can accelerate networking constructs on switches from different vendors with various configurations easily and get easy deployment for future network construction. This entry was posted in Uncategorized and tagged advantages of Cumulus Linux, Cumulus Linux, network operating system, ONIE on December 21, 2018 by Fracy.Yin. What Is Open Source Networking and How to Achieve It? The traditional network architecture has been unable to meet the needs of enterprises, operators and network users. It has complicated configuration on equipment and is slow in iteration. To solve this problem, open source networking has emerged! Then, what is open source networking? How to achieve it? Just read through this post to find the answers! What Is Open Source Networking? Open source networking, or open source network, is a new-generation network that offers you programmable customization service, centralized unified management, dynamic traffic monitoring, and automated deployment. It makes the transformation of the data center architecture change to virtualization and automation. 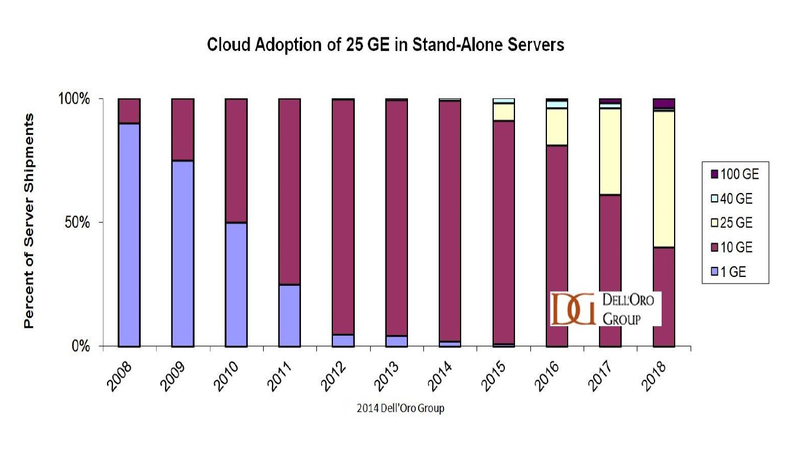 This new-generation network focuses on technology decoupling, which Dell EMC calls an open network, is the core of the transformation to software defined network (SDN). 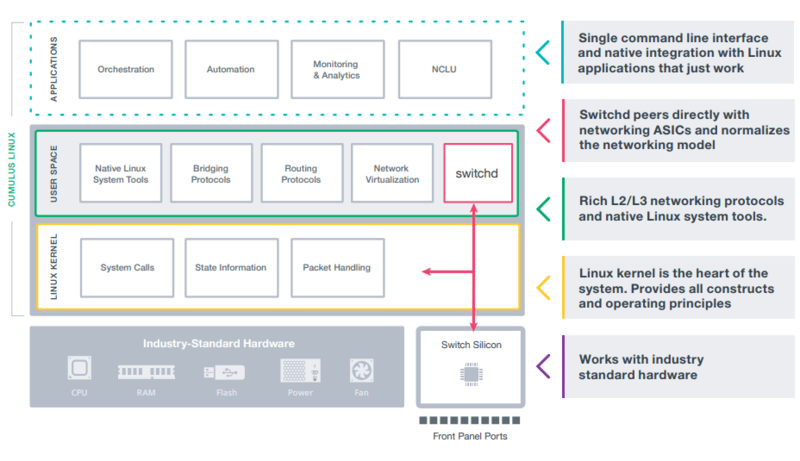 The SDN is a new network architecture proposed by the ONF (Open Networking Foundation) to facilitate the whole open source networking environment. This architecture separates the control plane from the data plane. It has central management for network state information Logically. And the underlying network hardware infrastructure is abstracted and defined by the upper layer application. With this architecture, enterprises and operators have unprecedented programmability, automation, and network control capabilities to build a highly scalable and flexible network to adapt to their changing business needs. How to Achieve Open Source Networking? The open source network involves the open networking stack from top to bottom. It starts from networking hardware disaggregation and modern 100G or 400G data center switch, and then to network operating systems, network controllers, virtualization, and orchestration. Therefore, to realize open source network, many aspects are involved. Among all these, the network operating systems and data center switches are essential in almost all the networks. Therefore, I’ll take a network switch from Dell as an example. To realize the open source networking, the underlying open hardware platform is required. This can offer an open source network operating system. For example, the new Dell EMC Z9264F-ON switch offers optimum flexibility and cost-effectiveness for the web 2.0, enterprise, midmarket and cloud service provider with demanding compute and storage traffic environments. Actually, there are many other examples as well. 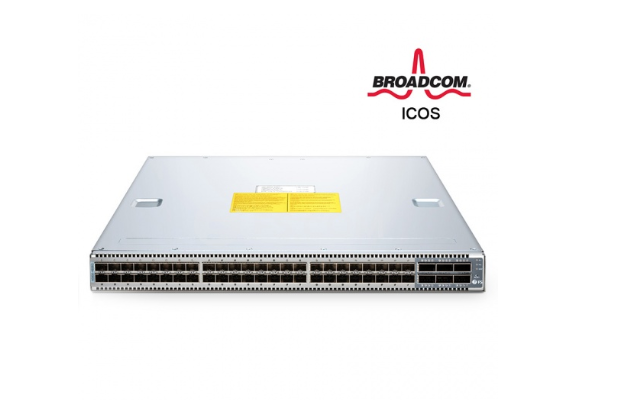 For instance, the FS bare metal switch N5850-48S6Q works well with the open source network operating system (NOS) Broadcom ICOS. It supports current and future data center requirements, including a x86-based control plane for easier integration of automation tools. Of course, it offers an ONIE installer for 3rd party network operating systems and compatibility with SDNs via OpenFlow 1.3.11 as well. Such combination can centrally manage and control network devices of different vendors and use the common API abstracted from the underlying network. It facilities the automation and management capabilities of the whole network. With an open source networking, there is no need to configure each device as in the past or wait for vendors to release new products. It offers a common open programming environment for operators, enterprises, third-party software vendors and network users, accelerating the innovation speed of new services and functions of network deployment. The network reliability and security can be improved through automated centralized network device management, unified deployment strategies and fewer configuration errors. From all the above, you may have a general understanding of “what is open source network” and how to achieve it. This new-generation network offers you a programmable, automated system to help build a highly scalable and flexible network. It is promising in future network reconstruction. You can achieve it with common solutions involved with network switch, open source network operating system, etc. This entry was posted in Uncategorized and tagged open source network, open source network operating system, open source networking, what is open source network on December 19, 2018 by Fracy.Yin. As you may know that a network switch with no network operating system (NOS) is referred to as a bare metal switch. Unlike a white box switch with vendor’s own or 3rd party already loaded NOS, a bare metal switch allows you to load a network OS according to your own will. After installing the NOS, these two types of switches are normally regarded as the same. 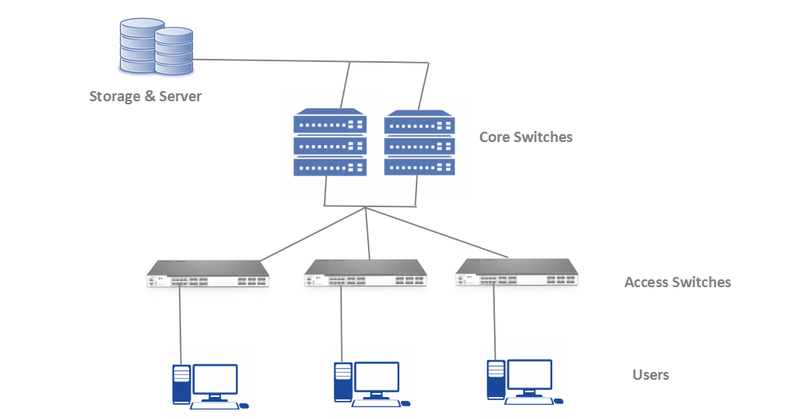 Then, how to choose network OS systems for bare metal switches? Listed below are three popular choices, namely Cumulus Linux, IP Infusion OcNOS™ and Pica8 PICOS. Cumulus Linux is a powerful open network OS designed by Cumulus Networks to help build and operate large data center networks. Therefore, the Cumulus Linux is a perfect match for a data center switch which operates in bigger networks such as enterprise, data center and metro Ethernet scenarios. It is a true Linux distribution with a hardware abstraction layer that runs on a variety of commodity hardware. Cumulus Linux uses automated tools to manage the network infrastructure and hopes to automate the configuration of network switches with these existing tools. Economical Scalability: Customers can get increased operational efficiency with commodity hardware and a standardized Linux stack. Built for the Automation Age: This Debian-based Linux distribution offers a completely open architecture and is designed for easy automation. Standardized Toolsets: It allows open source and commercial Linux applications to run natively. You can use your own automation or other tools to improve efficiency and multiply the number of switches per operator. 70+ Hardware Platforms for Choice: You can choose compatible hardware based on your needs and your budget flexibly. Cumulus Linux enables modern data center architectures while providing a transition path for traditional data center architectures. It supports layer 2, layer 3 and overlay architectures. This open architectural approach enables a wide range of solutions such as Clos, L3 network, L2 network, campus expansion, out of band management, etc. OcNOS™ is designed to address the needs of public, private or hybrid cloud networks. It offers Carrier-grade network OS for bare metal switches. It includes many advanced capabilities such as extensive switching and routing protocol support, MPLS, SDN, etc. Support Multiple Deployments: The several abstraction layers allow seamless portability across diverse network hardware. Modular Software Design: This design can make it customized, built and packaged with minimal software features to reduce CapEx and device footprint. Wide Interoperation: With CLI and SNMP management, the the OcNOS-based network node is easy to operate and interoperate with another vendor node. Support for disruptive networking technologies: It enables SDN support through OpenFlow and can provide custom programmable network operations. The PICOS is also an open Linux-based network OS built on the robust Debian Linux environment for bare metal switches. It supports all major L2 and L3 switching. What’s more, it can leverage a vast array of standard Linux tools and supports IPv4 and IPv6 static routing as well. In addition to the basic features mentioned above, the PICOS supports other functions depending on its two different editions. For PICOS enterprise edition, it supports CrossFlow dual control plane technology for improved OpenFlow integration, scale, and management. For PICOS SDN edition, it uses OpenFlow to control MPLS, GRE, NVGRE or VXLAN tunnels, delivering on the promise of open programmability. From all the above, you may have a general understanding of the three main network OS systems. You can choose a proper one according to your actual needs. For example, if you need a Debian-based Linux distribution NOS with Clos solution for a 40GB switch, Cumulus Linux is a wise choice. 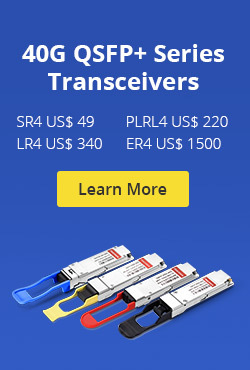 How to Select Transceivers for White Box Switch? This entry was posted in Network Switches, Uncategorized and tagged bare metal switch, Cumulus Linux, IP Infusion OcNOS™, network OS on December 7, 2018 by Fracy.Yin. Network switch has become unprecedented important in today’s networking market for its rapid update in performance. In the meanwhile, network users tend to have more requirements on a single switch, such as more port numbers, bigger switching capacity, higher bandwidth, etc. 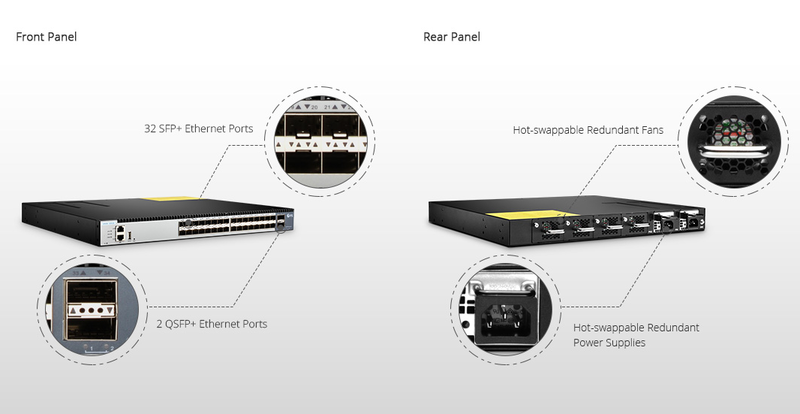 Here, we will introduce FS S5850-32S2Q 10GbE 32-port switch featuring all these requirements. The S5850-32S2Q switch has 32 ports for 10Gb SFP+ connection and 2 ports for 40G QSFP+ Uplinks. That is to say, it has a non-blocking bandwidth of up to 400Gbps. In addition, It offers a switch fabric capacity of up to 800Gbps and forwarding rate up to 596Mpps. Supports advanced data center features including MLAG, VXLAN, IPv4/IPv6, SFLOW, SNMP, Priority Flow Control (PFC) and data center TCP. Provides L2 and L3 network service. Supports a complete set of security features like IEEE 802.1x, DHCP Snooping and L2/L3/L4 multi-layer ACLs (Access Control Lists). In case of an Ethernet ring network failure, the backup link will quickly recover the communication between the ring network nodes. The two main uses of this 32-port switch lie in that it is not only an aggregation or access switch in Metro L2 ring network but also a leaf switch in enterprise data center. Ring network, also known as ring topology, is one of the network topologies in which each node is exactly connected to two other nodes. Therefore, it can form a ring-like pathway by transmitting signals through each node. The ring network reduces chances of data collision since each node releases a data packet after receiving the token. 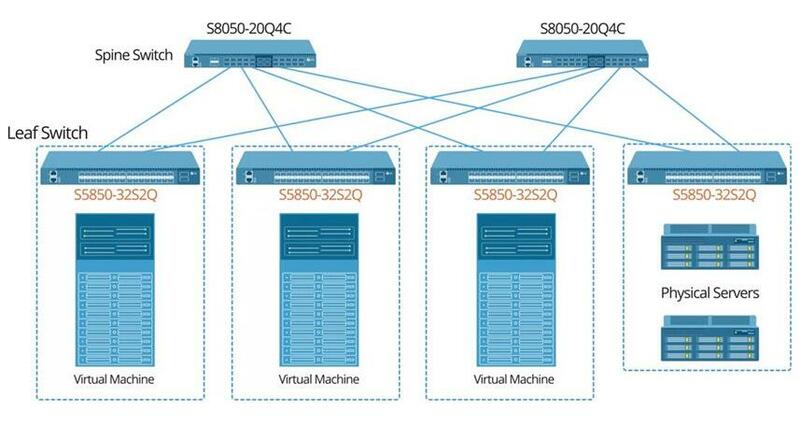 The picture below shows FS S5850-32S2Q switches for Metro L2 ring network topology as aggregation or access devices. 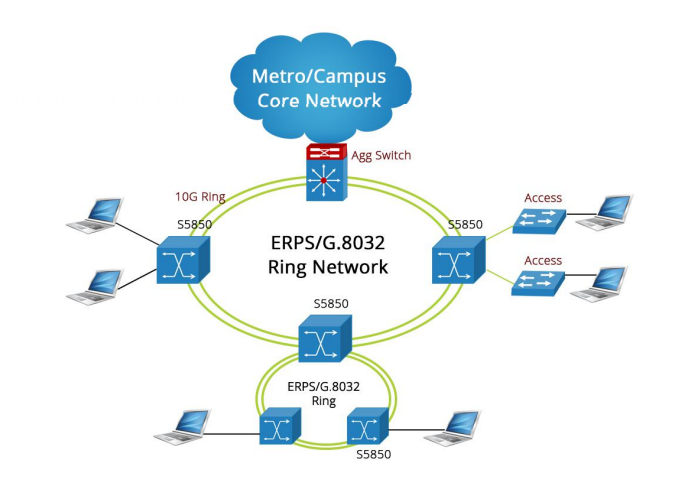 These aggregation switches mainly use QinQ or ERPS features to deliver Metro Ethernet service. The S5850-32S2Q 10GbE 32-port switch can provide access ports for high density 10GE servers and 40GE uplink ports to aggregation or core switches as well. It can be used as leaf switch in data center access network topology with features such as VLAN, LACP, RSTP&MSTP, MLAG, DCB, etc. 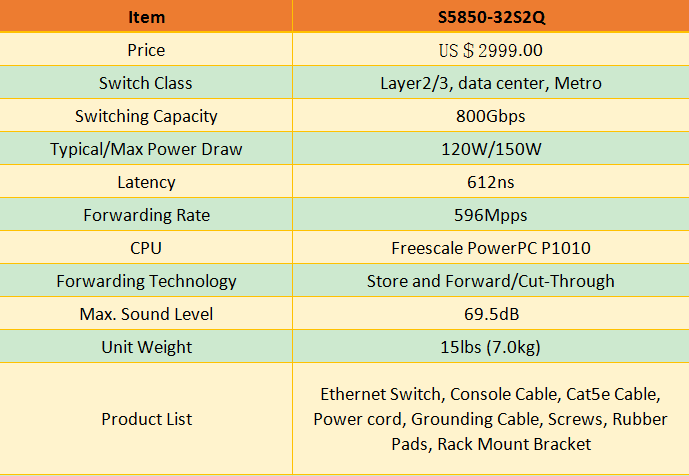 In addition to the information mentioned above, there are other specifications you need to know about FS S5850-32S2Q when choosing a 32-port switch. Listed below are the most important specifications for reference before buying this 10GB switch. All in all, it is clear that the FS S5850-32S2Q 10GbE 32-port switch supports comprehensive protocols and applications. It plays an important role in data centers, Metro, enterprise network, campus network, etc. 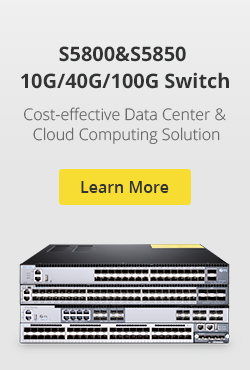 This 10GB switch is ideal to facilitate the rapid service deployment in both traditional L2 or L3 networks. You can enjoy a non-blocking bandwidth of up to 400Gbps! By the way, if you want an additional Gigabit switch for other use, FS offers multiple choices for you as well. This entry was posted in Uncategorized and tagged 10Gb switch, 32-port switch, aggregation switch, leaf switch on November 23, 2018 by Fracy.Yin.